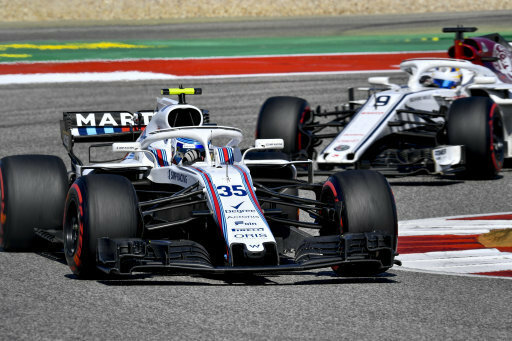 The 2018 United States GP was another tough day at the office for the Williams Martini team. 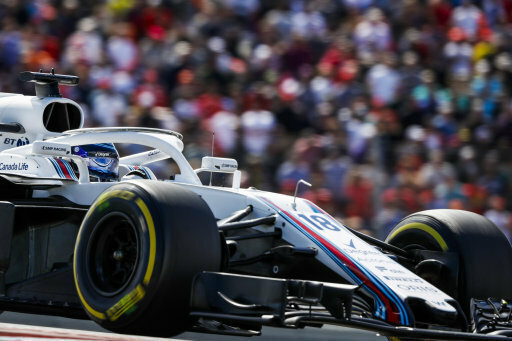 Sergey Sirotkin and Lance Stroll would finish in 13th and 14th. 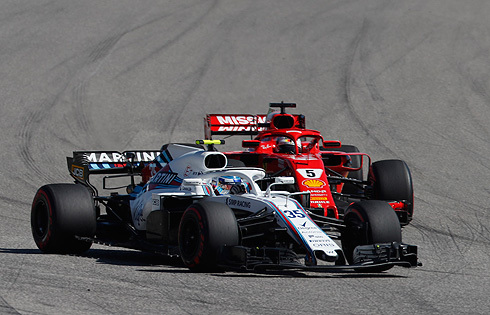 The race would see both drivers suffer damage on their opening lap but for Lance his contact with Alonso would see him forced to pit having to replace his front wing. He would then suffer a futher visit to the pits when he was given a penalty for part in the collision. The Williams drivers would finish the race last in what was a race that saw both drivers finish a lap down, in Lance's case it was two laps. Another very difficult race in a difficult 2018 season. "It was a tough race. I had a very good start and gained quite a lot of places. I got some damage on the rear-side of the floor in one of the incidents with a McLaren through the first-lap, but everything was ok whilst we were in dirty air and there was a lot of inconsistency in the things happening around the track. I had good pace considering the damage and I could keep up with the cars ahead and everything looked good. After the pitstop it just didn’t work. When everyone got into their rhythm and got into their pace we just didn’t have the performance to compete and keep the people behind. The damage on the floor that I had was probably painful for us in clean air when everyone could use their performance a bit more. I was just basically trying to get to the end without losing too many places which was not the best feeling either. I don’t think we could have done much better." "It was a terrible day. I had contact with Alonso on the first lap in turn five. I saw a gap and went for it, but I don't think he really saw me and turned in. After that my race was finished as I got the drive through and that was that. I haven't seen the footage, but I think it was a racing incident. I am just disappointed about the result." "It was a tough day. The race could have been quite promising but it all went wrong for Lance in the first few corners where he had contact with Alonso from which we had to change his front-wing. He subsequently received a drive-through penalty for this incident. The car was also damaged beyond the front-wing, so Lance ran a fairly lonely race out on his own at the back of the field. In Sergey’s case, he also had damage after contact with Vandoorne in turn 11 of the first lap which lost him a significant amount of downforce. Although his position looked quite promising through the first stint, we took the opportunity to stop under the Virtual Safety Car which should have been a good strategy but nothing worked today because the pace of the car was not there to compete. That said, we did get both cars home so well done to all the crew for another good job operationally. These aren’t the finishing positions we hoped for today and so we look forward to a better result in Mexico."